Nobody calls me that anymore. 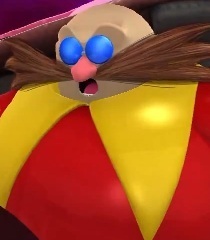 If you would be so kind as to explain, gentleman genius Dr. Eggman From The Future. What?!? You were the one who said you saw a door over here. What time is it? That doesn't give me much help. Maybe I'll go back and get my teaching degree. (sighs) That doesn't give me much hope. Maybe I'll go back and get my teaching degree. Know body calls be that anymore. If you would be so kind to explain gentlemen genius doctor Eggman from the future. You mean after we destroy them!? Let me just say this was a brilliant plan that you came up with!